A chance of sprinkles before 10am. Mostly sunny, with a high near 84. Breezy, with a south wind around 23 mph, with gusts as high as 32 mph. 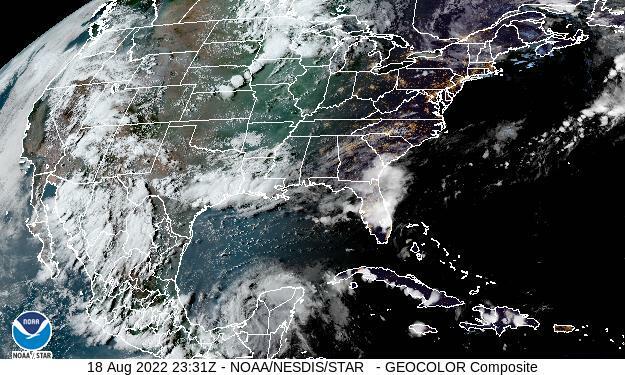 A 40 percent chance of showers and thunderstorms, mainly between 10pm and 4am. Partly cloudy, with a low around 55. Breezy, with a south wind 16 to 21 mph decreasing to 10 to 15 mph after midnight. 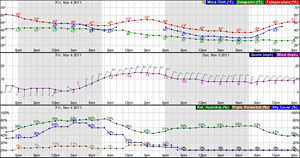 Winds could gust as high as 29 mph. Partly sunny, with a high near 72. Northwest wind 11 to 16 mph, with gusts as high as 23 mph. Scattered showers after 1am. Mostly cloudy, with a low around 47. North wind 11 to 14 mph, with gusts as high as 20 mph. Chance of precipitation is 30%. Scattered showers, mainly before 1pm. Mostly cloudy, with a high near 63. North wind 9 to 13 mph, with gusts as high as 20 mph. Chance of precipitation is 30%.